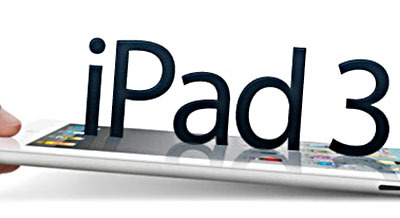 The iPad 3 — or the iPad HD or whatever Apple decides to call it — is coming out today, and I have no plans to get one. At least, I didn’t have any plans to get one until yesterday. Now I’m thinking about it. Why? Because something suddenly occurred to me that I hadn’t thought about before. I regularly use a remote access program called TeamViewer to do tech support on my mother’s computer. I also have it installed on my laptop so that I can access my desktop PC. I’ve always known that an iPad client was also available, but for some reason it never clicked with me that I could actually use it. But of course, I can. And that would mean that I’d have a lovely iPad with all the usual lovely iPad functionality, but I’d also be able to pop up my desktop Windows screen anytime I want and use the stuff that’s unique to it. And if all the rumors are right and the iPad 3 has a new super high-res display, I assume that my desktop screen would scale down to iPad size fairly cleanly. I still don’t know if I’ll get an iPad, but I’m suddenly thinking that I might. The combination of high-res viewing, Kindle app, and remote desktop make it a pretty appealing idea. I just hadn’t ever thought about that combination before. I guess there’s no reason for any of you to be interested in this. But you might be! So I’m sharing. Any of you ever tried this with an iPad 2?